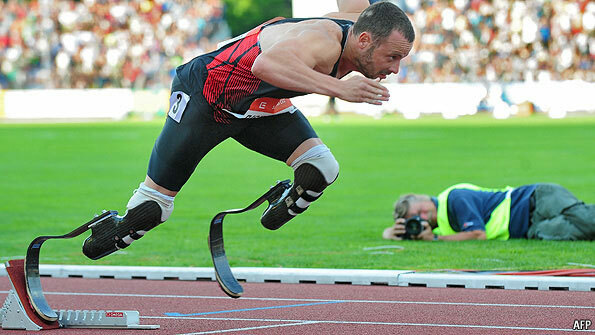 Let me introduce you to the 24-year-old Mr Pistorius who holds the double-amputee world records for all the sprint distances (100, 200 and 400 metres) and has been competing against non-handicapped athletes in international races since 2008. Last month he ran the 400 metres in 45.07 seconds, quick enough to qualify for Daegu, as well as for the 2012 Olympics in London. Really, Where there is a dream, challenges hardly matter.